Cruise through the waters of the Caribbean aboard a multi-million dollar race boat on this 3-hour excursion from St. Maarten. 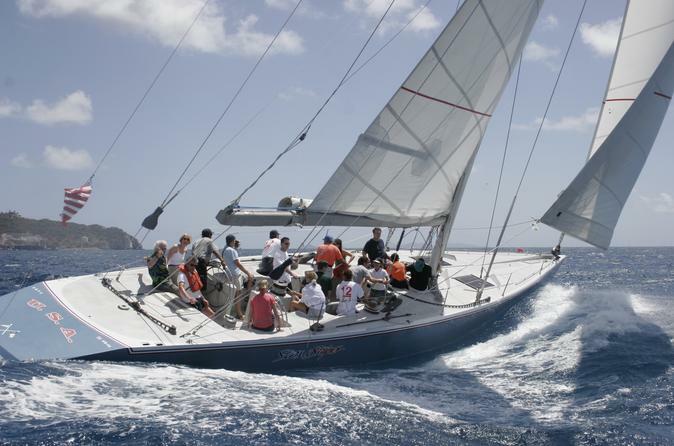 If you've ever wanted to compete in a sailing race, this is your chance to board one of the Caribbean's fastest boats and be part of the crew. Get pre-race training, a sailing-history lesson, and a spot on the crew. Then zoom through the aqua waters for 12 meters (39 feet), and enjoy complimentary refreshments as you go. Make your way to Bobby's Marina in Philipsburg to meet your racing instructors. Make sure to wear soft-soled shoes appropriate for climbing around on board a million-dollar yacht. Climb on board one of the yachts. You may sail on the True North IV, the Canada II, the True North I, or the Stars and Stripes, all of which have been contenders in the America's Cup in the past. 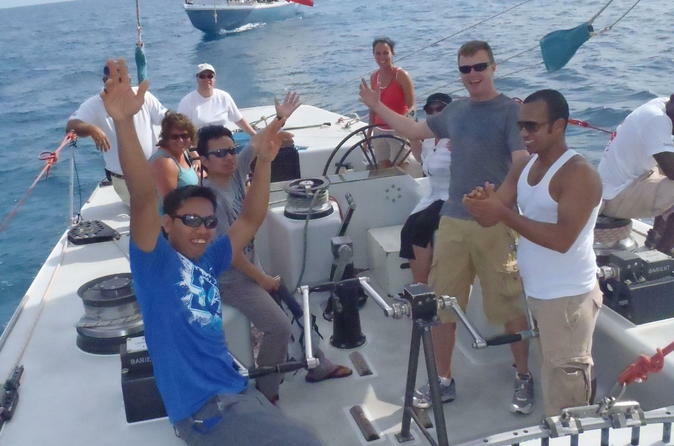 Undergo sailing instruction and a safety orientation before getting your crew assignment. You could be grinding a winch, punching a stop watch, or trimming a sail as you cruise through the Caribbean waters. If you're more of an observant type, just find a spot on board to relax and enjoy the complimentary refreshments. Learn about the history of yacht racing from your guides, which dates back to the 19th century. Please note: Minimum age for this excursion is 12 years old. However, children aged 7-11 are allowed with parental permission. All tours are subject to change due to weather conditions.